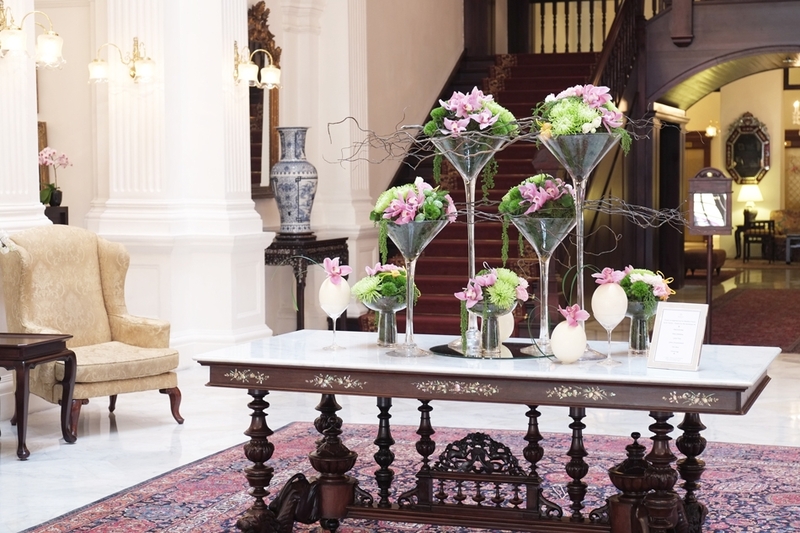 There’s so many things to say about Raffles Hotel, a legendary hotel which opened its doors in 1887. It was named after Stamford Raffles, the founder of modern Singapore, whose statue had been unveiled in 1887. This hotel which has been immortalised by writers like Somerset Maugham, Rudyard Kipling, Ernest Hemingway and many more, is a colonial-style, architectural master-piece hotel with a tropical garden courtyard, a museum (unfortunately closed in 2012) and a Victorian-style theatre. I look like any sweaty and sloppy hippie-like tourist, with my t-shirt and my long chiffon skirt and braided hair, I must say NOT CHIC! so at the entrance they kindly look at me and tell me that no permission to enter, only hotel gusts! What… I came all the way from the other side of the Globe, from my sweet little Sweden (a matter of fact, I only came from Bangkok), to visit Singapore and to at least get a glimpse of the Raffles! This is when I bring out the actress in me ( really…. I’m the worse comedian you can find on this earth!) I look like I’m really going to cry and the hotel porter, could not refuse a blond with blue eyes! OMG easy, so he lets me in to the lobby and allowed me to take a few shots and then the tour was over….. I could NOT get further. Well been there now, perhaps it’s a little too fancy for me and I wonder: am I not too young….? ?, but I would LOVE to stay there later in my life, when I have become a distinguished (older) lady. The Lobby at the Raffles Hotel in Singapore. A slight view of the writer’s lounge.